• to observe Buddhist precepts, to practise Buddhism and to propagate Dharma. • To promote culture, education and social welfare. A government – aided primary school founded by SBF in 1949. Accorded SAP School status in 1990, current pupil population is more than 2200. Awarded “Programme for School-Based Excellence Award” in 2006. The School was selected for PRIME Project with construction period from Dec 2006 to June 2009. The $ 24M project was completed in June 2009 and the School has since then operated in this state-of-the-art campus. Currently planning for a $18.79M PERI 3 Upgrading Project. This 2-year project is expected to commence in mid-2014. SBF shares of the cost being $1.6 million. A government-aided secondary school founded by SBF in 1982, it has more than 1000 students at the moment. The school underwent a massive $ 24 M upgrading project under the MOE’s PRIME initiative and relocated to Ubi Avenue 1 upon completion of project in Jan 2009. It is now adjacent to Maha Bodhi School. The School has moved into this $24M state-of-the-art campus since Jan 2009. PRIME: Programme for Rebuilding and Improving Existing Schools. 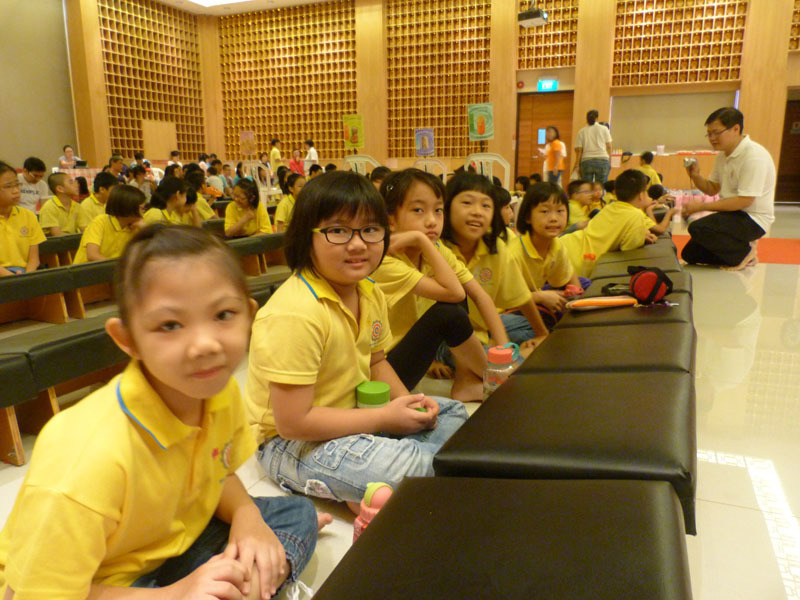 The Centre is located in Bukit Batok, established since Mar 1995 and has an enrolment of more than 110 children. It is a community service division of SBF. A joint project launched in 1999 between SBF and Southeast CDC with an enrolment of about 70. it is a before-and-after school care service centre catering to the needs of the local residents. It is a community service division of SBF. 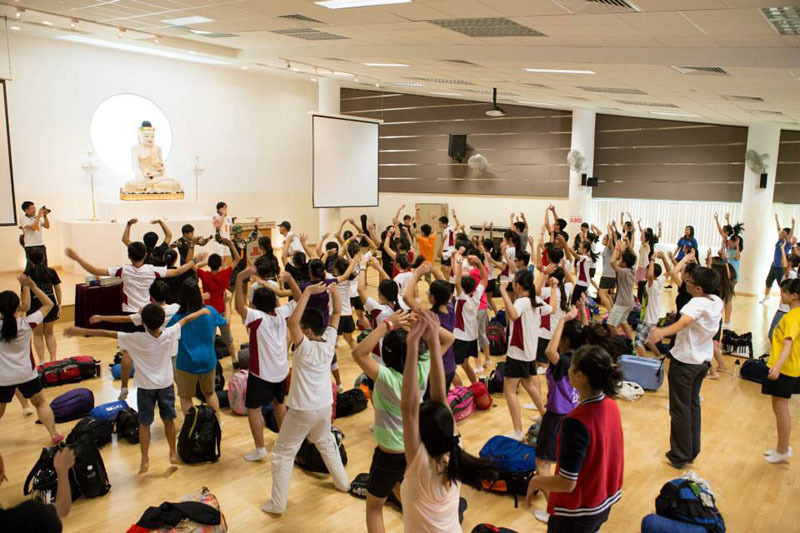 Formed in 1991 for the promotion solidarity among Buddhist Youths and to promote Buddhism. It has more than 120 members. Formed in 1994 by alumnus and students of SBF Dharma Classes. It aims to enhance the learning of Dharma and to support SBF. It has more than 300 members. (1) Publish quarterly journal Nanyang Buddhist. (2) Series of talks on Buddhist Culture and Literature. 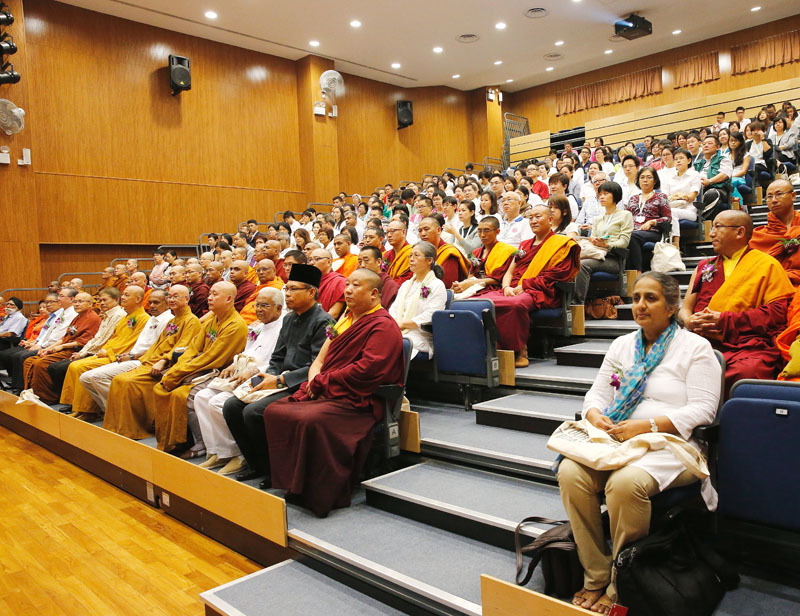 (3) Co-organise educational seminar on Buddhism with local and overseas institutions. 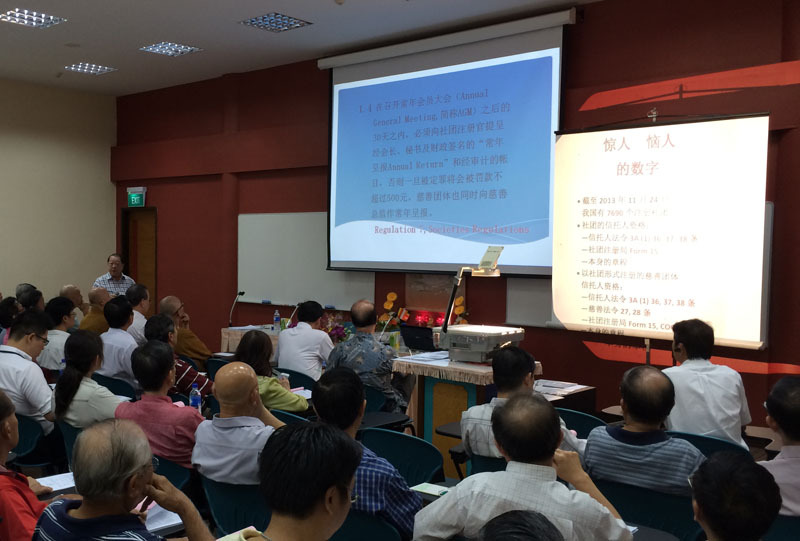 (4) Accredited training provider for “Board Governance Training for Charities (Mandarin)” by NCSS with 80% VCF Grant. (5) Promoter of a 18-month pilot project on “Governance Consultancy Service for Buddhist Charities” from 1 Oct 2010 to 31 Dec 2011. This project receives 100% grant from the Ministry of Culture, Community and Youth. (6) Conduct a series of talk on legal matters concerning charities and societies. (1) Annual Bursary Awards to needy students in primary, secondary school and junior colleges regardless of race or religion. (2) Participate in relief works, eg: South Asia Tidal Waves, Taiwan earthquake, Indonesia earthquake, Lebanon War, Turkey earthquake and etc. (3) Counselling, Dharma lessons and Refuge-taking ceremony for inmates of prisons, drug rehabilitation centres and Singapore Armed Forces Detention Barracks. (4) Conduct vegetarian culinary lessons for inmates of various penal institutions. (5) Counselling Service for ex-inmates. (1)Presidential Council for Religious Harmony. (2) National Steering Committee on Racial and Religious Harmony. (3) National Steering Committee on Racial and Religious Harmony Working Committee. 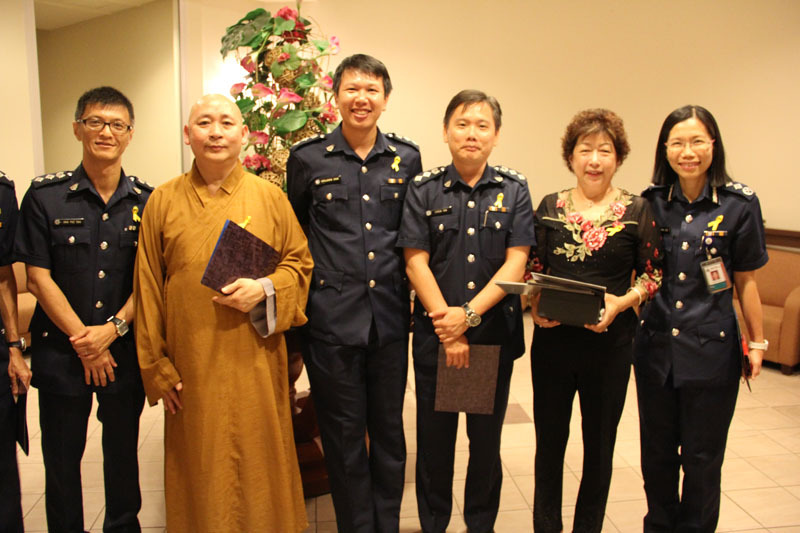 (4) Inter- Religious Organisation of Singapore. (5) Inter- Religious Harmony Circle. (6) Dialogue with Chinese Community Outreach Group. 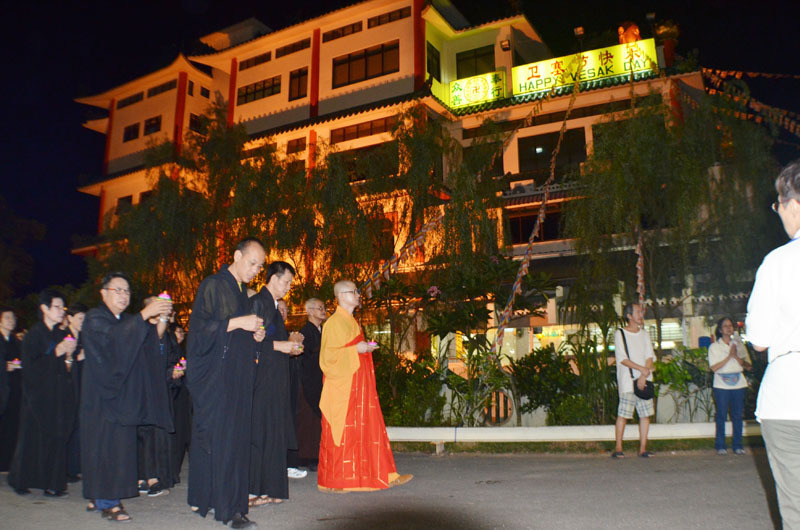 (8) National Day Blessing Ceremony. 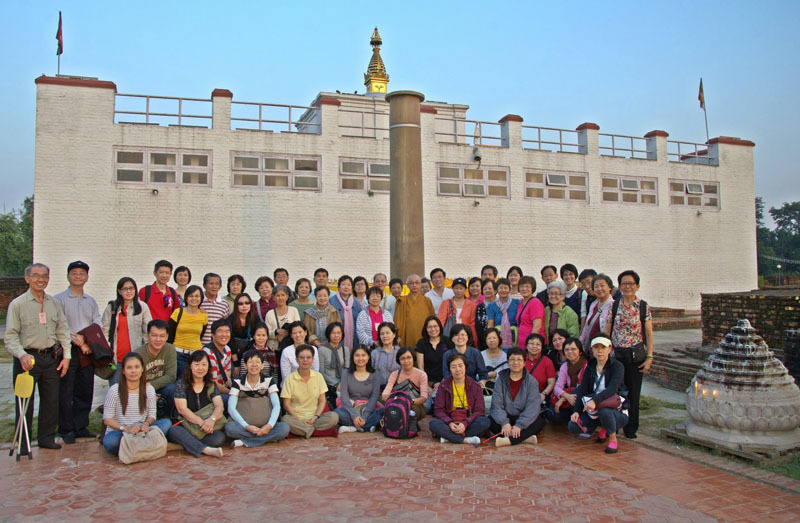 SBF sent delegations to India, Sri Lanka, China, Thailand, Indonesia and etc to attend Sangha Convention, Buddhist Forum as well as goodwill visit.